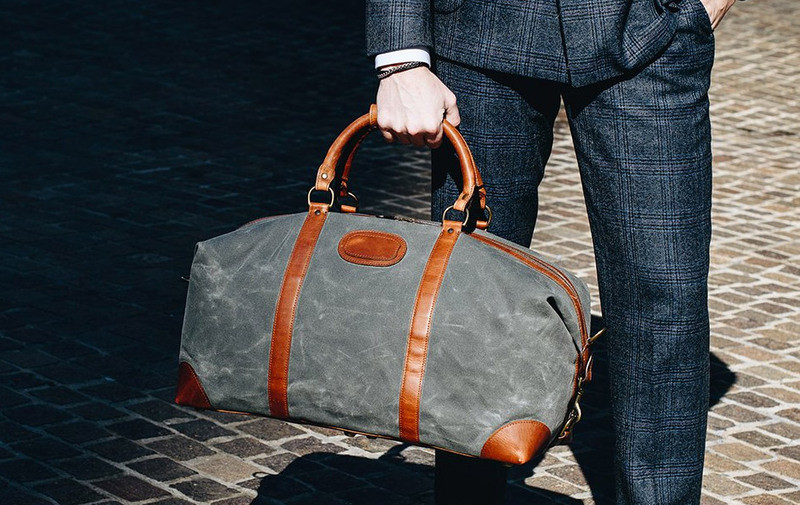 If you are looking for a solid duffel to carry with you, the Korchmar Twain Waxed Canvas Weekender Duffel is a stylish choice. This waxed canvas Twain is ideal for leisure or business travel. It's all class with plenty of room inside. Measuring 22", it is designed to fit easily in most airline overhead compartments. These canvas bags are handcrafted with water-resistant waxed canvas and include a removable, adjustable leather shoulder strap. Other features include premium waxed canvas with full grain American leather trim, antiqued solid brass hardware, fully lined with signature 6.4 oz yarn dyed twill, interior zippered pockets and much more.